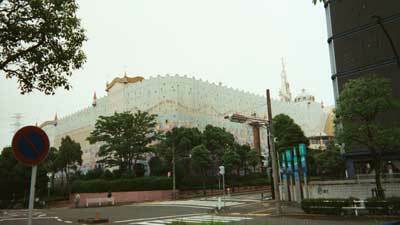 Long-term readers of this blog might just remember that my favorite non-Disney theme park is Sanrio Puroland, the five-story indoor Hello Kitty theme park I visited in 2002. 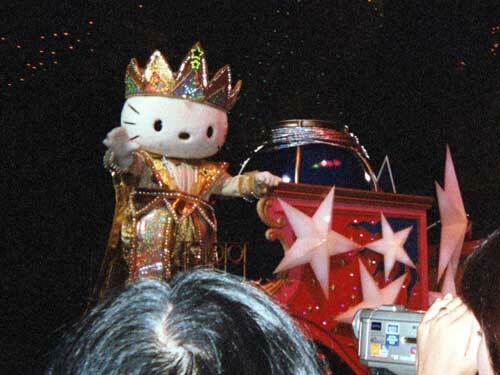 Sanrio Puroland is located in Tama City, about 30 minutes outside Tokyo. You can take the subway there, if you don’t mind traveling through a good number of stations where the signs are written only in Japanese and Chinese characters. Luckily, I had a Japanese friend in Tokyo who gave me excellent directions, and my then-five-year-old son and I found our way there with little difficulty (the rest of the family decided to spend the day in Tokyo rather than visiting Hello Kitty’s homeland . . . gee, I can’t imagine why!). Sure, you love Hello Kitty, but did you know she has her very own fivestory indoor theme park in Tama City, a quick commute from Tokyo? And have you ever considered making the ultimate Sanrio pilgrimage? Come to this panel to hear first-hand stories of my journey to this site where gaijin rarely tread with my then-five-year-old son, and watch the super-hard-to-find Sanrio animated and live action video that inspired three generations of my family to cross the Pacific. Ever wonder about this anime stuff your kids are into? Worried you could never understand all these crazy shows? Wish you could clue the parents into how great your favorite shows are, or why you spend all your free time editing AMVs and haunting costume shops? An actual family – two parents & a 14-year-old – talk about their shared love of anime and cosplay, offering tips on bridging the generation gap from either side. Bring your frustrations and questions, and come away with practical ideas for how to make anime cons a new family tradition. Detailed information about both these panels, as well as my husband‘s panel on Anime and the Japanese Experience of War, is available on our family Facebook page. The one thing I hate about the idea that DisneyQuest will probably eventually close is that I fear they won’t move Cyberspace Mountain, but just let it die. I love Cyberspace Mountain, and was sad this summer that it’s gone from Walt Disney Studios Paris. Bill Nye in French, how can you argue with that? “The Sum of All Thrills” will be a core component of Raytheon’s MathMovesU program, an initiative designed to engage middle school students in math and science, and help create the next generation of innovators for the U.S. It will be located in the INNOVENTIONS pavilion at Epcot, a unique area of the park that contains 100,000 square feet of interactive, hands-on exhibits that allow visitors to celebrate the inspiration and innovation that improve their lives and expand their horizons. If you’re not a nerd, you might find the photo in the Orlando Sentinel a little sexier. How sad am I that I’ve never set foot in any of the World’s Strangest Theme Parks, at least according to Dark Roasted Blend? Truly I would’ve visited Diggerland had the weather been a little more promising while I was in the UK….and last summer I was pretty darn close to Hershey Park the day after Magic Meets 2008, when Lisa and I recorded the Hershey’s Chocolate World Tour ride-through for Those Darn Cats episode #14 (and no, I had not planned in advance to plug my podcast twice in a day, but so there!). And hey, speaking of Magic Meets, they’ve just opened pre-registration for Magic Meets 2009. The event sells out wicked fast, so they have a two-step process: You pre-register for the event (without paying), and then later on you pay your money to secure your place. So, pre-registering is not a guarantee that you’ll get in, but speeds things up a bit once it’s time to plunk down the cash, and (I think) ensures that you’re on the email list to be informed when the all-important payment window opens up. I’m hoping to be there again this year, especially since I probably wouldn’t be able to make it to MouseFest this year, even if it were happening. 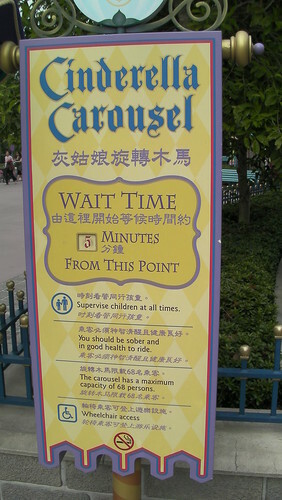 Am I curious why Hong Kong Disneyland insists you must be sober to ride Cinderella’s Golden Carousel? Yes. Did I enjoy reading my friend Hayden’s HKDL report on DisFriends? Yes. Am I green with envy, wanting to see yet another Magic Kingdom? You betcha! No More High School Musical! Now, it just so happens that I do indeed enoy the High School Musical francise. But when the last film wrapped up with a musical tribute to itself, even my stomach churned at the intensity of product placement, and at the lyrical plea to not stop watching just because Gabriella and Troy won’t be around anymore. Um, yeah…I don’t think the tweens were gonna stop watching, even without this plea. Or was this a reassurance that yes indeed there will be fresh-scrubbed antisceptic new faces in High School Musical 4, in addition to the Rocket Boy who they’re surely audience-testing for future installments? 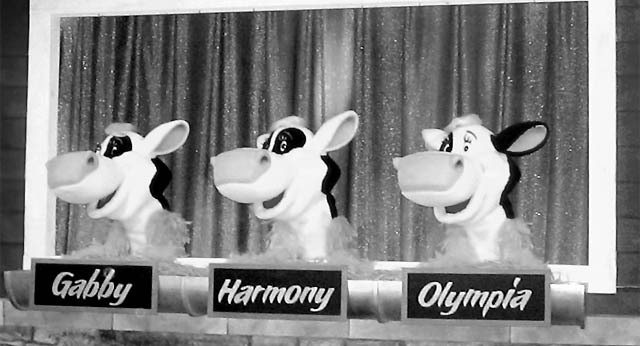 And of course yes, I’ve heard that the HSM Pep Rally at Disney’s Hollywood Studios has been updated, so yes I’ll try to catch it at MouseFest. It’s like a sickness, I tell you. But don’t go thinking I’m gonna try the Ludovico technique or anything.